The first day of school has come and gone and everyone is tuckered out. This day always brings to thought the many questions that parents ask as their children arrive home. Parent: How was your day? Child: Good. Parent: What was your favorite part of the day? Child: Lunch? Recess? PE? Music? Art? Parent: What did you learn? Child: I don't know? This conversation really forces the parents to dig into the upper level questions and creates great conversation for all. Now back to the question: What is your favorite part of the day? If you ask Sam (in the picture above) I can guarantee he will say two things; 1. Friday morning meetings and 2. Bus duty. 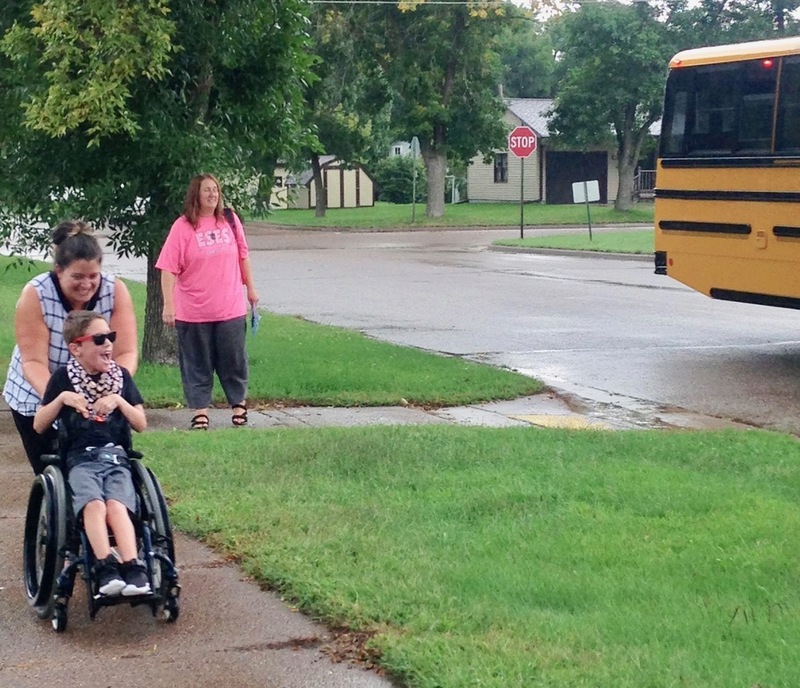 He has loved riding the 1st set of afternoon buses for the past couple of years making sure his bus driver does everything he is supposed to do. Wayne cannot miss a thing because is co-pilot will keep him going in the right direction. This year Sam will be riding on the second set of buses, and he has picked up a new job. With the assistance of Miss Val and Miss Wendy he makes sure everyone is on the first set of buses and then he places his sunglasses on and races the final bus down the sidewalk with Miss Val guiding his way. His smile and giggles say it all. Our special paraprofessionals key on what makes the world go around for our students, and they make each moment special. What is my the principal's favorite part of the day? Seeing the smiles and energy of our students and the tremendous effort all of our staff puts in to make school a wonderful experience for everyone. Day two here we come!